Would You Read It Wednesday #157 – The Penguin And The Pelican (PB) PLUS The November Pitch Pick! I’d like to begin today’s post with a Public Service Announcement. As you all (may or may not) know, January is National Bath Safety Month. And I’m concerned this may be something you don’t take seriously enough, potentially risking life and limb. A threatened bath is an unpredictable bath which may lash out in self-defense. A safe bath is a happy bath. Be a responsible bath owner! Keep your bath (and yourself) safe! Phew. I’m so glad we shared that important Public Service Announcement, aren’t you? I feel much better knowing that the care and safety of baths everywhere has received some much-needed attention! Now then, if you’d all quit lolling about in the tub, we’ve got all kinds of high jinx and shenanigans lined up for today. Here are our 4 pitches, all spiffed up and improved thanks to your very helpful feedback. Please read through them and vote below for the one you think most deserves a read by editor Erin Molta. As children frolic through and around a park playground, glimpses of two bear cubs mimicking their fun can be seen, partially obscured on each page. Both the bears and children roll down a hill, play on the equipment, and dig for treasure. But in the end, who is watching whom. Most of the Knights of the Kids’ Table found Flooted funny. After all, when he got nervous, Flooted tooted. But cranky Hugh couldn’t stand the smell, so he hatched a plan to get rid of Flooted…for good. When Hugh’s scheme flopped, the little knights giggled, the big knights enjoyed silly sword fights, and the grumpy little knight got exactly what he wished for. Jack loves playing ‘Got Your Nose’ with his mom, but when bedtime comes, and Jack’s not ready to quit, he turns to his sleeping brother and steals the nose right off his face! When Jack hears approaching footsteps, he nervously tosses his brother’s nose into the dirty laundry basket, sending it on a harrowing adventure faced with drooling dogs, hungry owls, and stinky skunks that will have you holding your breath, and your nose a little tighter. Will Jack succeed in finding his brother’s nose before morning? Please cast your vote by Sunday January 18 at 5 PM EDT, and I will announce the winner on next week’s WYRI. Many thanks!!! Now, onto the new pitch! Today’s pitcher personally selected her Something Chocolate, and I must say, she has EXCELLENT taste! Help yourselves!!! Today’s pitch comes to us from Bekah who says: “Wife, mom to a ten and seven year old, and teacher, I’ve been stealing time to write poetry and stories for over a decade and using my family as my “willing” critique group. Recently, I’ve entered the online writing community, through partipation in PiBoIdMo 2014 at taralazar.com (thanks, Tara!) and the 2014 March Madness-style children’s poetry contest at thinkkidthink.com (thanks, Ed!). The Pitch: A penguin and a pelican try to fix their awkwardness on land by learning to dance gracefully. When they discover, embarrassingly, that dance lessons can’t cure their clumsy gaits, new friends convince the birds to keep dancing joyfully. In the end, the penguin and the pelican’s gracefulness in the water and in the air amazes their friends. Please send YOUR pitches for the coming weeks! For rules and where to submit, click on this link Would You Read It or on the Would You Read It tab in the bar above. There are openings in late May so you’ve got a little time to polish up your pitches and send yours for your chance to be read by editor Erin Molta! Bekah is looking forward to your thoughts on her pitch! I am looking forward to taking my bath to get microchipped so that in case it wanders off it will have the best odds of being returned safely! I think Kirsten Larson really nailed the problems with this pitch. That said, I think the idea of these two creatures dancing around would lend itself to some wonderful illustrations and I do think kids would like it. I'd read it for sure. Yes. I like the idea of showing the characters not being able to succeed at something but that it's ok if they can find a way to enjoy it. Are those…buckeye bars? I didn't know you were an Ohio State Collegiate Championship team fan Susanna! On to the goal, er, pitch…dancing clumsy birds made me giggle. What happens to make them want to change their gaits? Before they decide on dance lessons? Choosing to learn to dance is a cute idea, but I'd I'd like to know the stakes. The idea about the animals learning they're not so good at something and having their friends acknowledge they are good at something-that which comes naturally to them-are two good themes for kidlit books. Hi Bekah! I vote yes, I would definitely read this. It's intriguing and I love the pairing of your two main characters. To improve, I think you need to raise the stakes as mentioned in previous comments. Why is it so important for them both to cute their clumsy gate on land? Another thing I noticed is you kind of gave the ending away so you might want to tweak that a bit so readers can't wait find out what happens. Well done! I didn't know I was either, Keila, especially since Bekah chose it, but if that's the snack that goes with being a Buckeye fan then rah! rah! 🙂 Thanks so much for your helpful comments for Bekah! Thank you, Jamie, for your suggestions! Thanks, Keila! 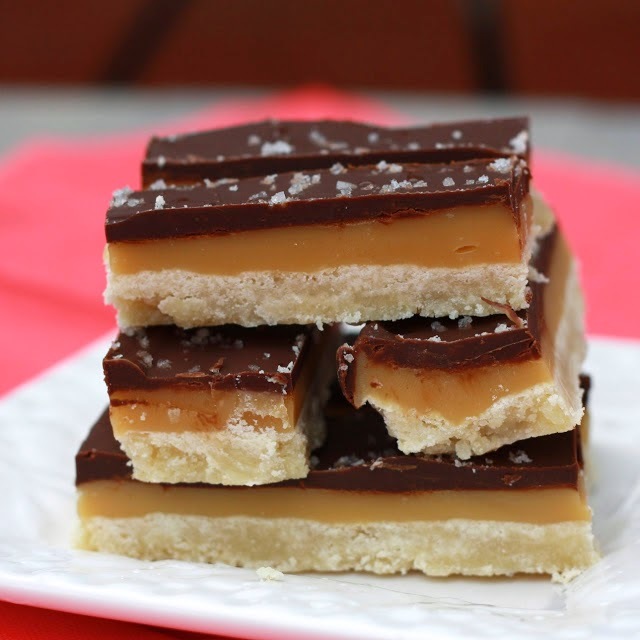 The bars, BTW, have caramel instead of peanut butter, which would be delicious as well! I went to college at a school in Ann Arbor, so I am a Michigan fan, but I will gladly eat ONE'S signature snack any day! Thank you, Karen! I appreciate you taking the time to read and comment! Thanks, Rosi! I am glad you can see the illustration possibilities as well! Bekah – I love the pairing of your bird characters but my concern is that learning to dance is too predictable and reminds me a little of Giraffes Can't Dance. It might be more interesting for the characters to explore or try out what they think to be more graceful occupations – perhaps dance being only one of them – before discovering on their own and through each other's help (I'm not sure if new friends are needed to reenforce that) that it's ok and a lot less ridiculous for them to just be themselves. You have a lot of space for a quirky adventure of self discovery. Good luck! And thank you for the Bath safety warning, Susanna! You have my word that I will not bathe for the rest of this month. And Ms. Hill, because I was born in Ohio, I am a true Buckeye fan, so that means that I get all of the treats. 😉 Thank you for that wonderful ad, too, by the way! I love the pairing of the penquin and the pelican friends – two of my favorite birds. I would definitely read it, but I would like to see them tackle a few more obstacles. Thanks for voting and for your helpful comments for Ms. Hoeft, Erik! As to the treats, though I am always willing to share, I have to draw the line at letting you have them ALL! I need to keep up my strength! As do the other visitors here 🙂 Ohio, eh? I was born in New York City, even though my biological parents were Dutch – Friesian, technically. How old were you when you were adopted? I was 11 months – pretty old! That's so cool! I was adopted back in the dark ages of closed adoptions where nobody knew anything about anybody and certainly didn't meet each other. Sorry for commenting so late, but I am still recovering form my bath last week 🙂 Bekah's story has a good theme (and I can just see the illustrations) but I agree with the others that a little more conflict is needed- and I would just hint at the ending and not give it away. Thank you for the suggestions! You all are so nice to read and give advice! Thanks, Michele! I'm going to explore that possibility. It's so hard to think about adding in more when the story felt complete (to me! ), but I think everyone is right about needing something more in the conflict department. Thanks again! Thank you, Erik! I'm picturing the jitterbug or tango, but breakdancing could be pretty great! Thanks for reading and commenting on my pitch! Thank you, Mishka, for the advice! I appreciate you taking the time to really think about it!